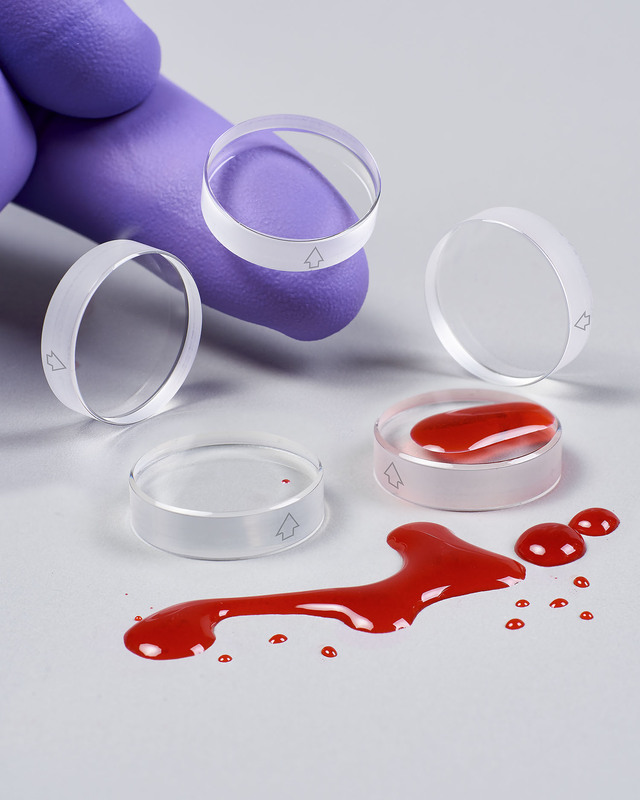 A line of sapphire UV cell windows for Beckman® centrifuges that simplify field replacement and are impervious to acids, alkalis, plasma, and body fluids are available from Meller Optics, Inc. of Providence, RI. Meller Sapphire Centrifuge Windows are resistant to most acids, alkalis, plasma, and body fluids making them ideal for use where chemical-, scratch-and high-pressure resistance are required. Ideally suited for Beckman® centrifuges and similar instruments, they feature a scribed arrow on their edges to project the optic axis and simplify installation alignment. Available for OEMs and end-users, Meller Sapphire Centrifuge Windows measure 19.03 mm dia. ±0.03 mm by 5 mm thick ±0.10 mm and are offered wedged one or two degrees and plano; with chamfers 0.35 mm x 45 degrees in two places, and have a 30-5 scratch-dig surface finish. For less demanding applica-tions, windows made from quartz are offered with a 10-5 scratch-dig surface finish and a 16.00 mm central clear aperture. Meller Sapphire and Quartz Centrifuge Cell Windows are priced according to material and quantity. Pricing is available upon request.